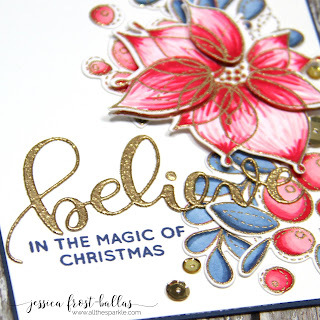 Muse: ChristmasVisions: MCV82 - Christmas in July! We are so thrilled to be teaming up with Jessica from All the Sparkle for some Christmas in July! And to make Christmas in July even better, we've got some 'Stocking Stuffers'! 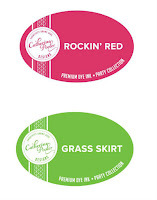 One randomly-chosen participant will receive Catherine Pooler Inks in Christmas-sy Rockin' Red and Grass Skirt! And Jessica has put together a surprise Christmas bundle containing some festive goodies for another lucky randomly-chosen participant! Voting ends on at 8:00 am on Monday, July 31. The results of voting and winners will be announced at noon on Monday, July 31. Someone is going to be very happy when she receives these fab inks. 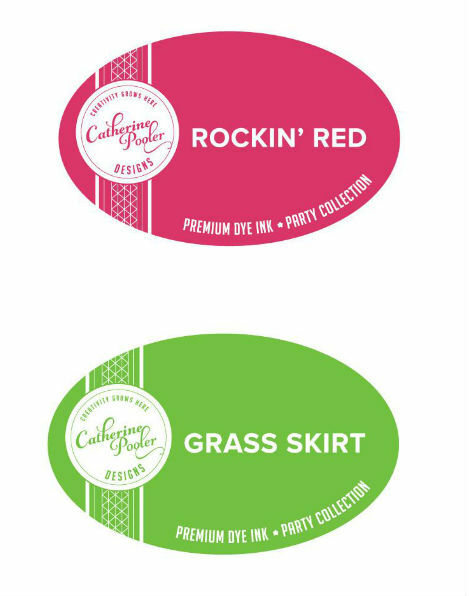 I wouldn't mind winning them myself and adding them to my recently acquired Spring Fling ink collection by Catherine Pooler. They are awesome! 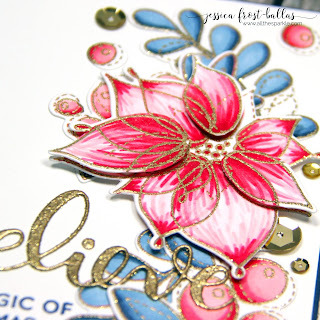 Spectacular card, Jessica! Wow! 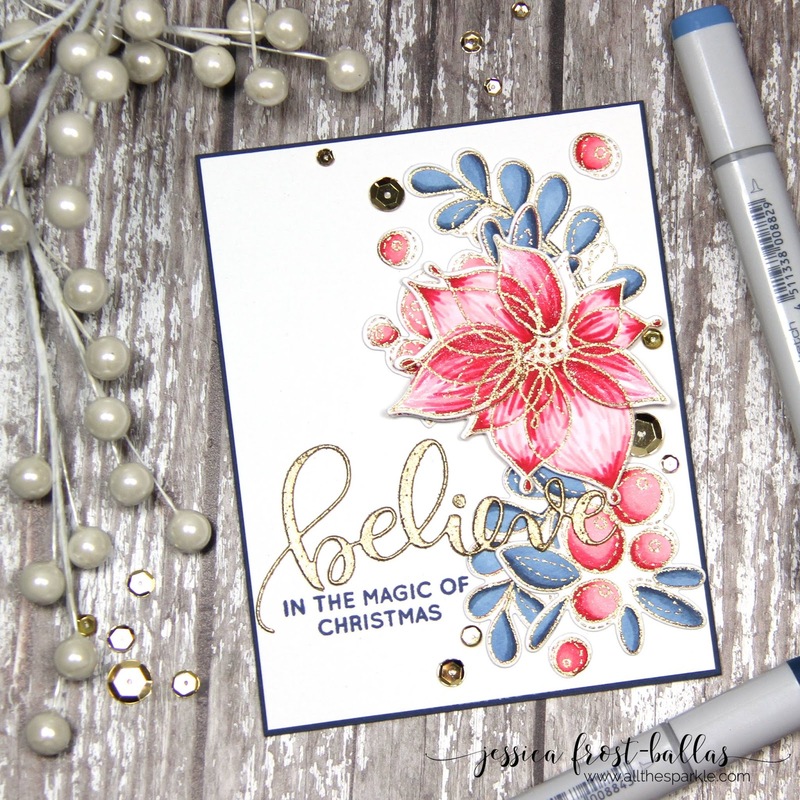 Love the clean design and the sparkly gold! Wow......this is stunning!!!!!! Love the colors too! Totally in love for Jessica's card!!! Simply stunning!!! This is stunning! 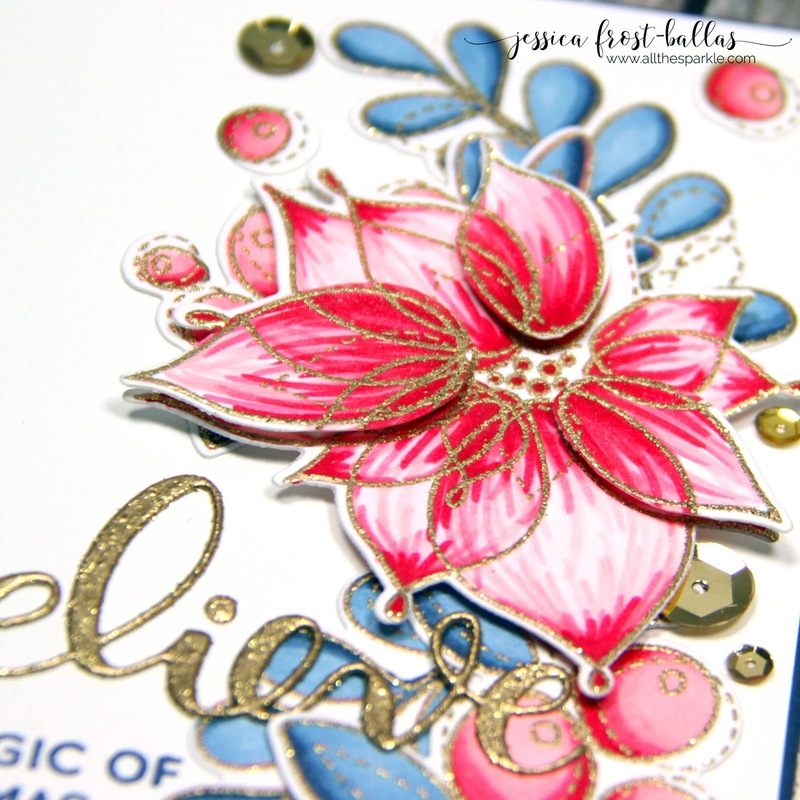 Love the whole design and the gorgeous colors. And the gold makes it so very elegant. I like the unexpected blue on this card for the holidays....very beautiful!